Dumaguete-based Silliman poet, Myrna Peña-Reyes (aka Myrna Sweet) has been cited as one of the Taboan 2018 awardees. The 10th Taboan Writers Festival will be held in Tagbilaran City, Bohol on October 19 – 20, 2018. The Taboan Writers Festival, A Flagship project of the National Commission of Culture and the Arts, is an annual gathering of writers from all over the country. The festival is held in a different region each year where writers, readers, scholars, researchers and lovers of Philippine literature trade diverse ideas about culture, history and the literary arts. It is a venue for writers to interact with one another and with their audience. The festival includes a conference, a book fair, the Taboan Awards, and performances by local artists’ groups, all of which are open to the public. Local and national writers’ organizations, along with universities and schools, particularly their students, faculty members, and researchers, will share in this enrichment of Philippine literature. Keynote speaker is Silliman writer Dr. Resil B. Mojares, and the plenary speaker is another Silliman poet and Outstanding Sillimanian Awardee, Dr. Marie Marjorie M. Evasco. This year’s other Taboan awardees include Ulysses Aparece, Edgar Godin, Melchor Cichon, and Raymundo Pandan, Jr. Posthumous awards also will be given to Anthony Incon, Clovis Nazareno, and Vicente Ignacio de Veyra. A big turnout of national and local writers as well as teachers and students of literature are expected to attend the festival activities. Panel discussions in parallel sessions on the following topics will be conducted: diasporic writers, environment/writing catastrophe, emerging experimental writing, fake news, imagi/NATION and threats to nationhood. There will also be panel discussions on the genres of children’s literature, creative nonfiction, graphic literature, performance poetry, speculative fiction and young adult literature. The author of three poetry collections and co-editor of a poetry anthology, Myrna is the twin of Lorna P. Makil and the sister of the late Dion Peña-Reyes – children of the late Elena Peña and Alfredo Y. Reyes of the SU Biology Department. She studied with National Artist Dr. Edith Lopez-Tiempo in college and taught in the English Dept. of SU before leaving for the U.S. While Myrna and her late husband, William T. Sweet (whom she met at the University of Oregon), lived in Eugene, Oregon for three decades, she was also a recipient of the Oregon Literary Fellowship in Poetry in 2002. 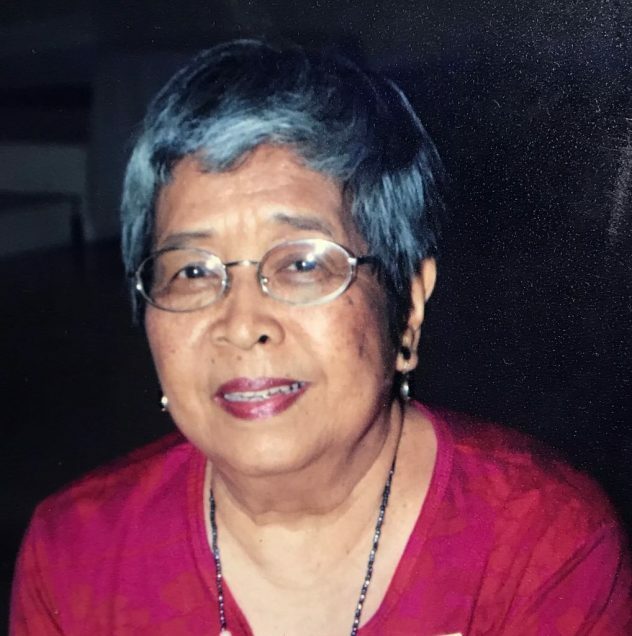 Retired and based in Dumaguete since 2005, a loyal Sillimanian and Dumagueteño, she has kept her ties with SU’s literature and creative writing program. IN MEMORIAM: Eufemia Tobias-Munn (BBA ’60, MA ‘66) on June 22, 2018; Rev. Dr. Federico I. Agnir (B. Div. ’68, OSA Pastoral Ministry 2005) on July 10, 2018; Ma. Soccoro Fe Camins-Aroyo (HS ’78, BBA ‘82) on August 2, 2018; Jerelyn Magno-Buenavista (HS ’92, BSPT ‘99) on August 2, 2018; Loel L. Fortugaleza (HS ’76, BSME ’81) on August 10, 2018; Dominador G. Anfone (AA Pre-Law ’59,BTH ’63, M. Div ‘85) on August 12, 2018; Ruth Villena-Chavez (BSN ‘62) on August 14, 2018; Godofredo V. Talatala (HS ’71) on August 19, 2018; Gloria Deloria (Former Student) on August 29, 2018; Meia Angeli B. Andaya (HS 2009, BSN 2013) on September 1, 2018; Patria Somera-Cordura (Former Student BS Chem) on September 1, 2018; Edison Barril (LLB ‘61) on September 4, 2018; Marcelino S. Happalla, Jr. (BSEE ‘77) on September 19, 2018; Amado Castaño (AA ‘50) on September 21, 2018; Carola Somoza-Alquero (BSSW ‘79) on September 23, 2018; Celso Cahambing (MBA 2000) on September 29, 2018; Carmencita Rodriguez-Catacutan (HS ’68, BSN ’73) on October 10, 2018; and Nena Severino-Guasa (Elem ’53, HS ’57, BBA ‘73) on October 14, 2018.